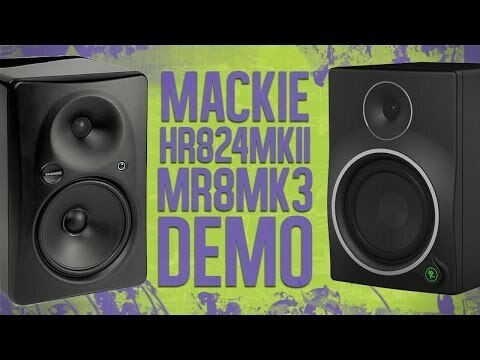 Mackie get the blend of art and science just right with the MRmk3 monitors. From first principles they've been designed to sound great with ..
Mackie get the blend of art and science just right with the MRmk3 monitors. From first principles they've been designed to sound great with a wide range of music genres. Offering balanced sound for every musical style is just the beginning, the MR monitors have been specifically designed to work in a range of different studios and partner with the MR10Smk3 sub to deliver greater low end extension. The design philosophy behind Mackie’s MRmk3 Series Powered Studio Monitors is centered on the idea that music is all that matters. MRmk3 reference monitors are designed to enhance your sonic experience at every level. Mackie MR6mk3 Powered Studio Monitors are specifically designed from start to finish for your music, aimed at revealing the full range and natural character your music deserves. Optimizing features include an enhanced waveguide system for a wider sweet spot and custom-tuned rear porting for smooth, extended bass response. With a wide range of full-range options and a powerful studio sub, you can be sure MRmk3 has the right setup for your studio.